Jessica Alba and Gabrielle Union; "Hollywood Medium" Tyler Henry; Dr. Drew Pinsky. After news of his criminal record went public earlier this week, Kennard Ray withdrew his nomination for Hartford Mayor Pedro Segarra's Deputy Chief of Staff. The announcement raised questions about the city's hiring policies. Ray spoke exclusively with NBC Connecticut about his decision to give his up position over his criminal past. “I was a young man at the time, and I don’t want to use that as an excuse, but I’m not who I was then today,” said 32-year-old Kennard Ray. 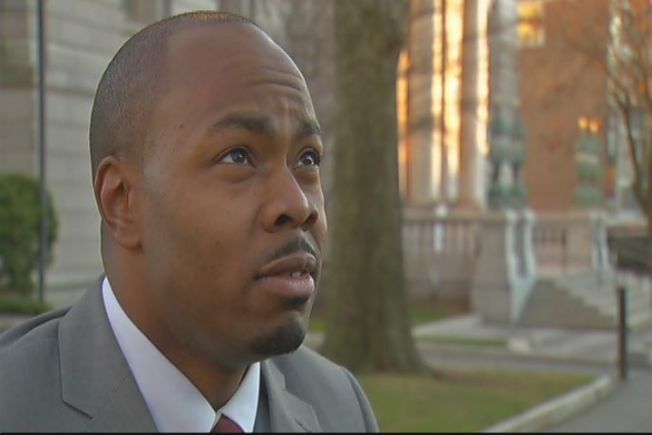 The Hartford native has several felony convictions from the late 90s and early 2000s and said after speaking with the mayor’s office Monday night, he decided to withdraw. NBC Connecticut spoke to Mayor Segarra after he spent Thanksgiving morning at Open Hearth, serving food to homeless men. He said he chose Ray for the job because of his excellent relationships and good work in the community. “He’s a person that has decided to take the last 10 years of his life and put it to good productive use,” said Mayor Segarra. But the controversy surrounds a 2010 city initiative called “Ban the Box." The policy ensures any individual can be considered for a job without any fear of discrimination because of a criminal record. Only after a candidate is chosen, a criminal background check is done to be sure they're qualified. “I still believe that we need to give people a second chance,” said Mayor Segarra. Ray said he understands and even supports the law and after facts about his past became known, he decided it was better for him to step away from the position within the administration, which has already been plagued with scandal. "It’s a sad state that we’re in when people can’t get over the fact that people do make mistakes," Ray said. Ray still plans to continue fighting for Hartford. Meanwhile, Mayor Segarra says he’s already put a new policy in place to complete a criminal background check prior to offering a candidate a job. He added he’s considering asking City Council to modify the 2010 ordinance for clarity. Ray says this isn’t a setback – just a pause – and he’s still very passionate about his hometown.